Boy gives Pete’s Pumpkin Chocolate Chip Ice Cream a big “tongues up”! 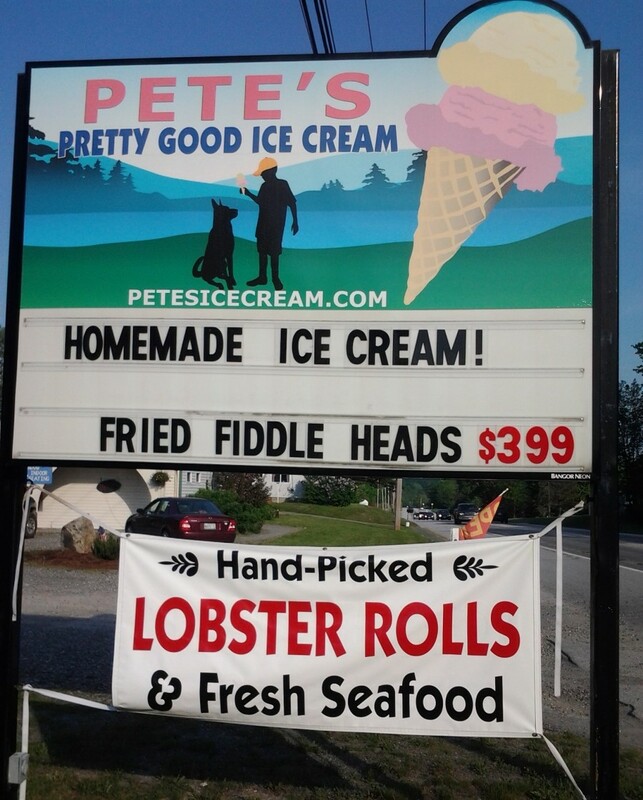 Pete’s is a wonderful little roadside snack bar to stop at while you’re driving along scenic Route 1a in Maine. 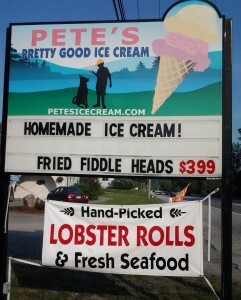 Try an order of fried fiddleheads or tasty homemade ice cream when you visit. For those of you who aren’t familiar with “fiddleheads” they are a type of edible fern that grows wild in the area of Holden, Maine – where Pete’s is located. Pete’s is pet friendly and Pete is actually the owner’s German Shepeard. 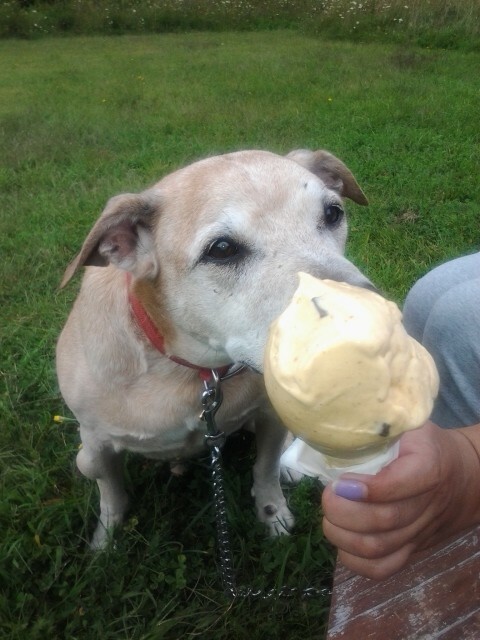 Boy gives Pete’s a “Tongues Up” on the Pumpkin Chocolate Chip ice cream!